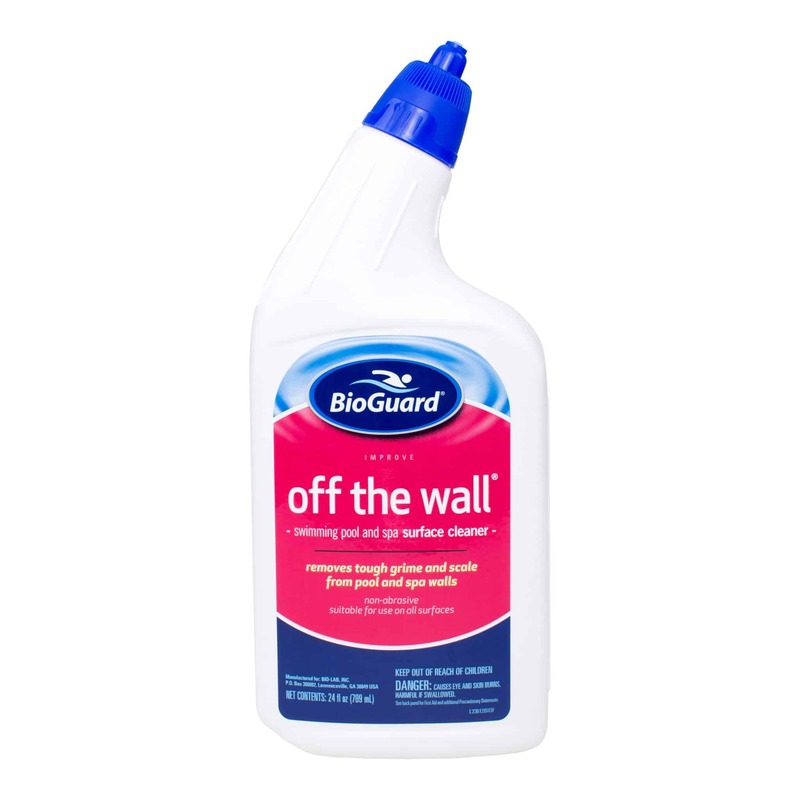 BioGuard Off The Wall Surface Cleaner allows you to efficiently remove scale, dirt, and stains on most types of pool and spa surfaces including vinyl, fiberglass, ceramic, stainless steel, aluminum and painted surfaces. BioGuard Off The Wall Surface Cleaner allows you to efficiently remove scale, dirt, and stains on most types of pool and spa surfaces including vinyl, fiberglass, ceramic, stainless steel, aluminum and painted surfaces. This product is specifically formulated for compatibility with swimming pool and spa water. The new gel formula is 10x thicker and 2x faster at penetrating scale deposits than the previous one! Off The Wall Surface Cleaner is designed to be a long-lasting cleaner, so fewer re-applications are needed.